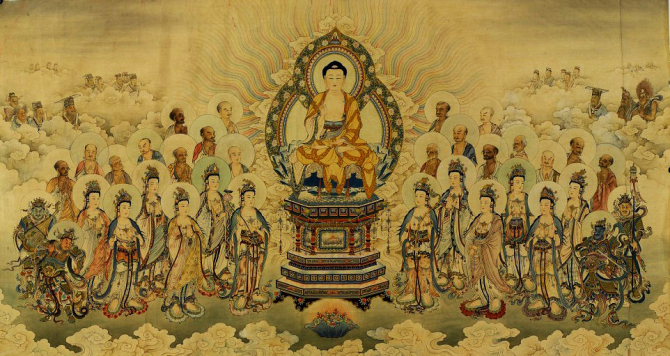 When one align to the truth of this Sutra, either through reading, reciting, or sharing, celestial beings will offer their protection and blessings, and one is at one with all Buddhas and their disciples. How can it be so? It is because all Buddhas and teachings arise from the truth of this Sutra, therefore when we align ourselves with this same truth, we are at one with all Buddhas, and their disciples and celestial beings. From author’s own experience, even the writing of the name of the Sutra on a white board would radiate the light of truth and power. Such is the wonder of this Sutra.